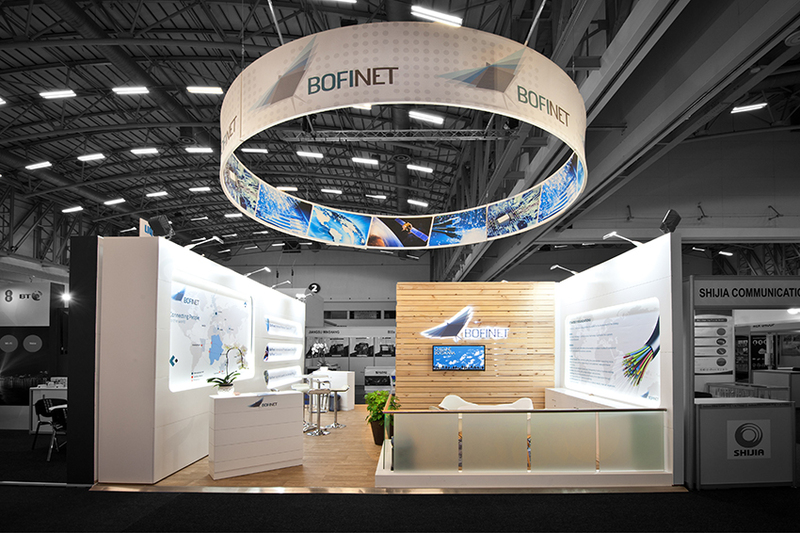 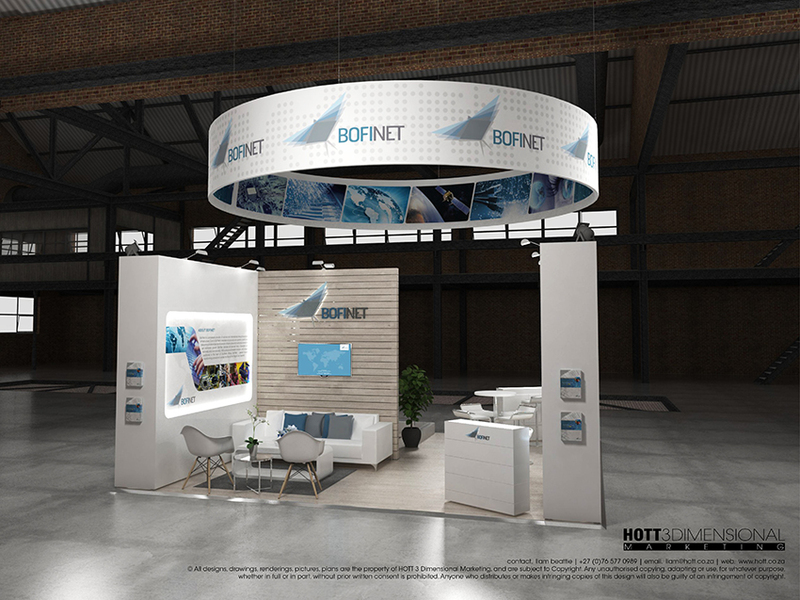 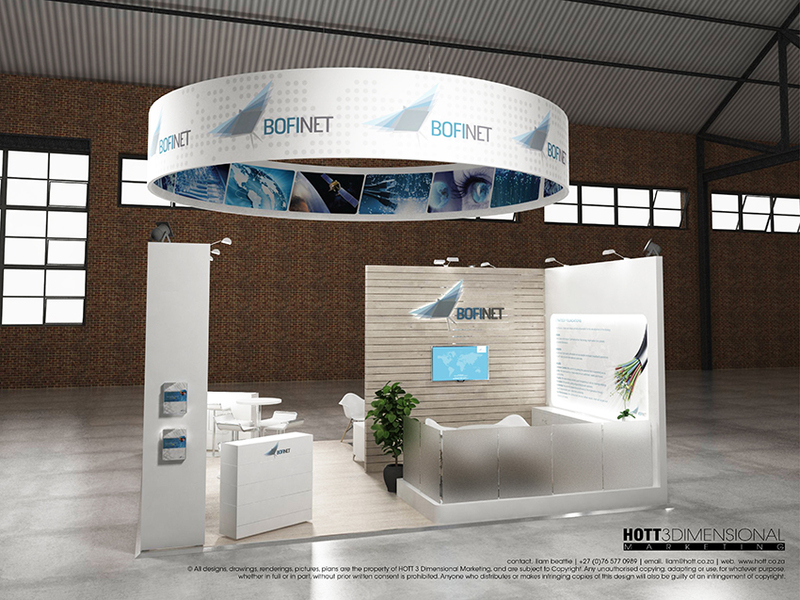 For the third consecutive year we partnered with Bofinet to the design and construction of their 36m2 booth at AfricaCom 2016. 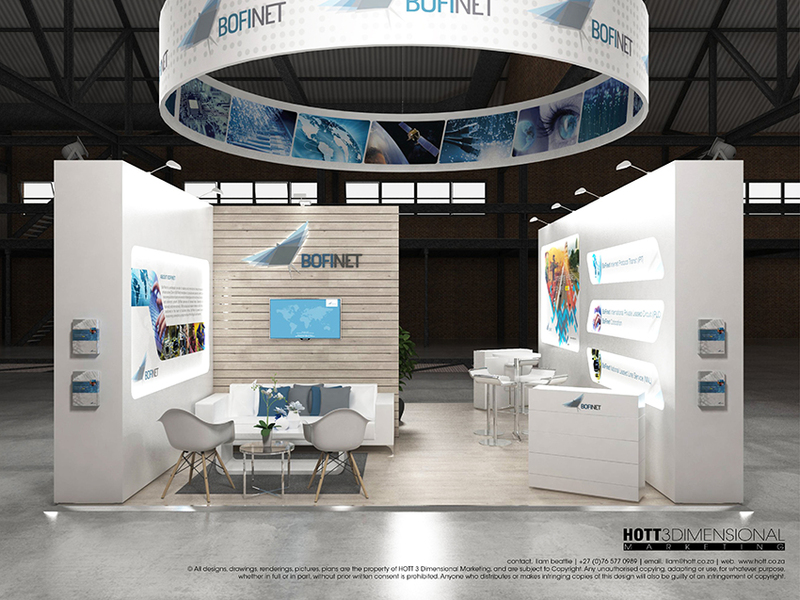 Bofinet provide high quality affordable and accessible wholesale broadband connectivity for both national and international customers and as such their presence at AfricaCom required a high quality, professional platform with which to meet with existing and prospective clients. 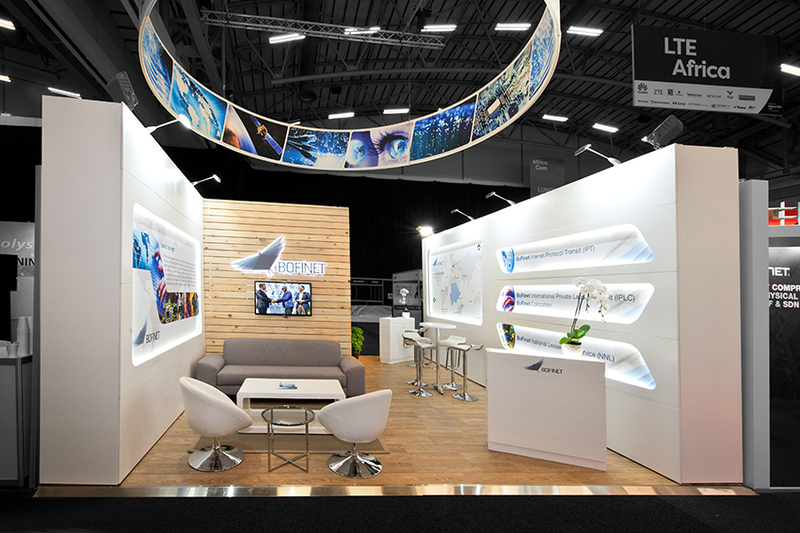 To this end we designed a modular exhibition stand that had multiple informal and formal meeting areas, dual access points due to the walk-through nature of the booth and a bold presence achieved via a 6m diameter double sided circular tensioned fabric print. 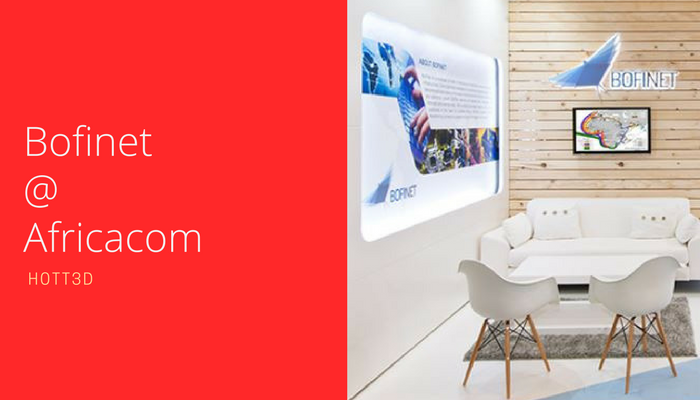 Utilising a modular custom concept, we were able to provide a duco-sprayed finish to the booth walls allowing for construction in under a day. 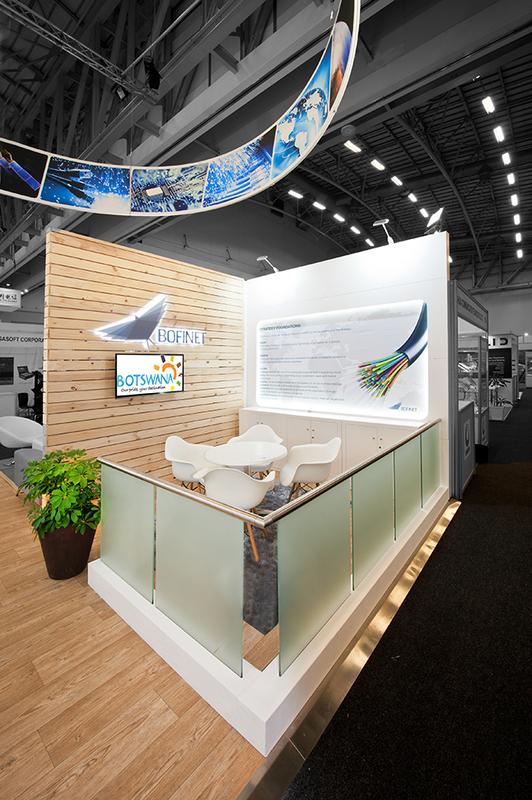 Coupled with timber slat finishes, LED lit logos, halo lit graphics and premium furniture this booth was one of the stand out exhibits at this years event.